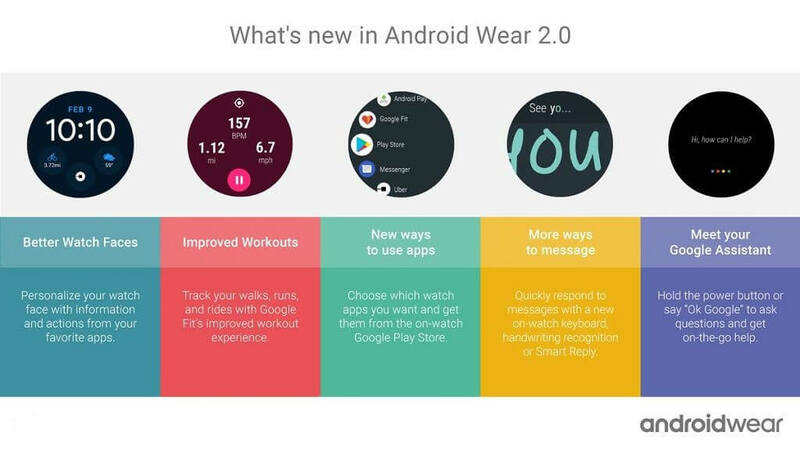 The much awaited Android Wear 2.0 was launched by Google on Wednesday. 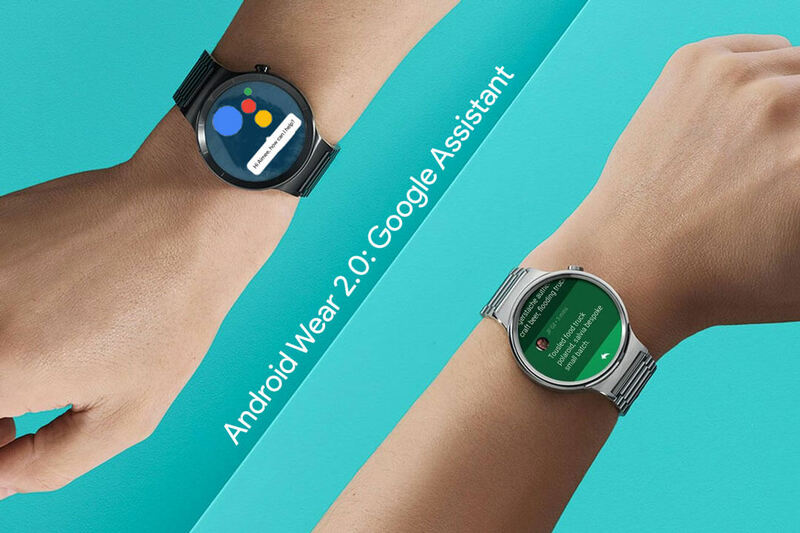 Google partnered with LG to introduce two flagship smartwatches-LG Watch Style and LG Watch Sport that run on Android Wear 2.0 out of the box. Google has paid attention to the smaller refinements and has reworked the User Interface from the scratch to make it much easier to use. 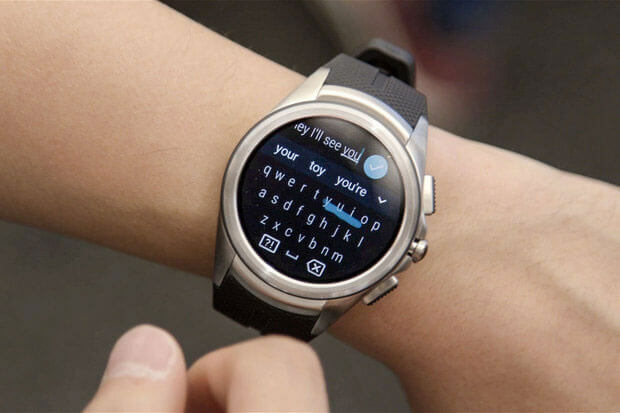 It has also included new features like customisable watch faces, Google Assistant, Android Pay Support and on-Watch Google Play Store to name a few. The new design is just infinitely easier and more obvious to use than the previous version of Android Wear. Many companies refrained from launching a smartwatch last year due to no improvement in the software improvements and Android Wear 2.0 looks to change things topsy turvy. The complete UI, notifications, and navigation is completely re-imagined making it a welcome improvement. There’s your watchface, which you can swipe left or right on to change; your notifications, which you swipe up from the bottom to see; your settings, which you swipe down from the top to access; and your list of apps, which pop up after a single press on the watch’s main button. The watch face is also easily customisable and supports third party apps and now you can display your current weather, stock prices or places on your watch face. You can also have multiple watch faces like one for the Gym, home and office. Navigation and Notifications have been massively improved in Android Wear 2.0. Now the Notifications are grouped by apps and have actionable options. Android Wear 2.0 notifications are more pleasing to the eye, with the quick reply feature found on Android 7.0. There’s also Smart Reply which gives you a preselected list of answers based on Google’s machine learning. Google Assistant comes to Android Wear 2.0 and it is a much needed addition. This enables the user to give voice commands to the watch to do certain tasks like Setting a remainder, Calling an Uber and much more. And yeah, activating is as simple as yelling “OK Google”. The Google Play Store is a crucial addition to Android Wear 2.0. This means you do not need a companion app on your smartphone to install apps and watch faces on your smart-watch. Previously, the only way to install apps on your watch was through an app on your Android Phone. If you had paired it to an iPhone, things were worse and there was no way to install third party apps on the Watch. Android Wear 2.0 fixes this crucial problem by letting you install apps directly on the watch itself. Looking for apps on that tiny screen is definitely hard and the good news is that you can use the Play Store’s site on a computer to get things done. Also, several improvements have also been made on the Fit app, and it now is more intuitive and intelligent. 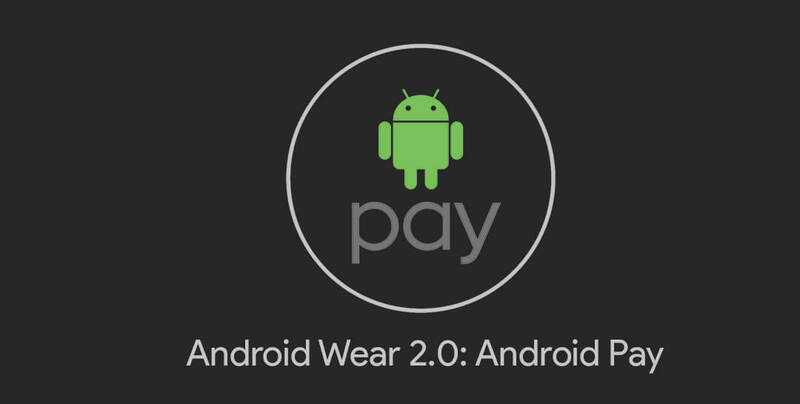 The next compelling feature of Wear 2.0 is the standalone Android Pay support that lets you pay without the help of your smartphone (if NFC support is present on the watch). According to Android Police,Android Pay for smartwatches does not work if your phone has an unlocked bootloader or runs iOS which can be a bummer for those running custom ROM’s. The interesting thing is that with Android Wear 2.0, Android Pay works even without the need of an internet connection(but there is a specified cap limit for offline transactions which is not known at the moment). Android wear 2.0 is a great new operating system with many new features up its sleeve. This iteration of Android Wear is more of a refinement than a complete overhaul which makes an already good Android Wear 1.0 better.